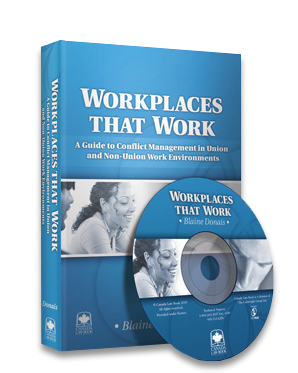 A Guide to Conflict Management Systems in Union and Non-Union Workplaces is a practical book that offers quantitative solutions to managing workplace conflict. Practitioners are provided with a set of instruments to aid them in a thorough diagnostic test of their workplace. • The cost of conflict to your company. • How to save money by managing workplace conflict better. • How to uncover workplace conflict. • How to define workplace culture. • Options for an effective workplace fairness system. • How to test your present workplace system. • How to assess the value of your workplace system. • How to build consensus around change. • How to ensure the system remains effective. • How to engage unions and employers to support change. Employee engagement has become a primary measure of success for modern workplaces. Business leaders argue that employee engagement is the best way to give their companies the competitive advantage they need to survive difficult economic times. When employees are engaged they devote their discretionary effort to the success of the workplace. It should come as no surprise that engaging unionized employees poses unique challenges for modern workplaces. But where there are challenges there are also potential rewards. Effective support from a union offers more opportunities for a higher level of engagement than is possible in the average workplace. 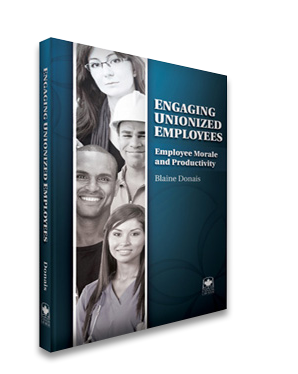 Engaging Unionized Employees is an insightful guide to understanding how unionized employees become engaged through the support of their union. 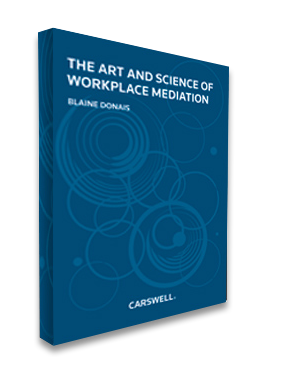 This new book provides a much needed resource on how to integrate mediation into the workplace, for non-unionized and unionized settings. It will discuss the different uses of mediation in the workplace rather than just the very narrow approach of “grievance mediation”. The book discusses the specific aspects of mediation in the labour context, the employment (wrongful dismissal) context, and in the context of resolving general workplace issues. “Workplace Mediation” provides legal practitioners, as well as managers, HR departments, and union representatives with tools and theory to analyze how to best approach mediation, including how to design mediation systems that are fair, efficient, and cost-effective. Anyone with an interest in resolving workplace disputes will benefit from this book. This 120 page perfect bound book is the culmination of approximately five years of clinical research into private forms of conflict management in Canadian workplaces. It is the first of its kind to take the theory of workplace conflict management beyond “dispute resolution” into the depths of conflict theory, to explore conflict management options at play in workplaces. The WFI WHITE PAPER describes public and private forms of conflict management in union and non-union workplaces in Canada. Academics and practitioners researching workplace governance, organizational behavior, labour and employment law, human resources and union-management relations will find this work to be of great value in describing how conflict is managed in Canadian workplaces and how it could be better managed in workplaces across the world. Dedicated to the prevention and resolution of destructive conflict and to building sustainable peace at local, national and international levels. Established in 1982 in conjunction with Alternative Counselling Services, implements mediation with a culturally sensitive focus, including personal and family counselling. Canada’s largest democratic and popular organization with over three million members bringing together Canada’s national and international unions, the provincial and territorial federations of labour and 130 district labour councils.